Catchy blog content will keep your target audience engaged and encourage them to keep coming back for more. Actually creating catchy blog content is another matter entirely. This guide is going to show you some of the key rules of successful engagement. To begin with, you have to keep your writing simple. If you are used to complex sentences, you are going to be forced to dig yourself out of a hole. Expand your target audience by making your writing available to all. Simple and clear writing sends a message. Every post must have some sort of purpose. Yes, the key purpose of any blog is to engage the reader and encourage them to do something, but every individual post has to have a firm goal in mind. There must be an end point, and it must be delivered through a call to action. It may be to click on something, to subscribe to your list, or to simply find out more about a subject. You can’t underestimate the importance of a headline. It’s the first thing people see and they are going to make a split second judgement on whether to click on that blog. This is the first level of engagement and the chances are people are not going to click if your title doesn’t stand out from the other headlines. If the post doesn’t get read, it doesn’t get shared. Your goal is to encourage readers to go through your blog from start to finish. Even if someone reads part of the way, there’s no guarantee they are going to get to the end, especially when it comes to longer posts. This is where you have to get creative. Relate the message you are trying to send to something that you have experienced. Consider how your life relates to what you are attempting to say. Consider the reading level of the piece. It’s useless writing a complex post if your target audience has a comparatively low reading level. This is where understanding your target audience is crucial. It takes time to accomplish, but through proper research you are going to reap the rewards. The grammar of a blog should always be as simple as possible. Forget everything you have learned about grammar in school. Writing an academic paper will make things seem dull and dry. Just make sure that it’s legible and readable. Try reading it aloud. Keep in mind that grammar can destroy your credibility and make it next to impossible to engage your customers. 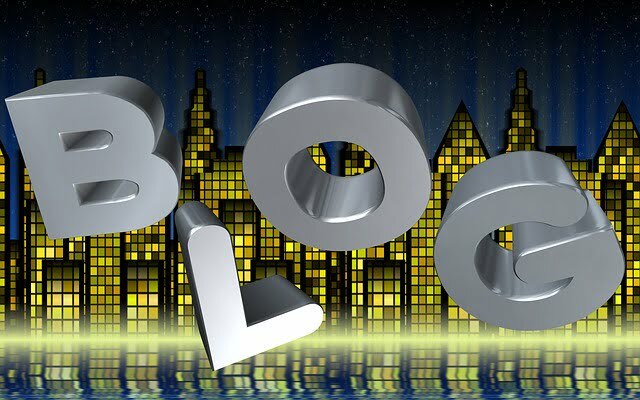 Many blog owners have been ridiculed simply because they failed to correct that misspelled word or take out that series of unnecessary commas. Proper formatting allows the reader to pace themselves. Don’t overwhelm readers with a long paragraph of text. You need to make sure readers have a clear introduction, body, and conclusion. Take a look at the most popular blogs for inspiration on how to get this done right. The tone of your blog should be casual and informal. Imagine that you are speaking to a friend sitting in the room with you. It’s easy to go overboard, though. Even if you are being casual, this doesn’t mean that you should bring in offensive phrases or slurs. Another rule of engagement is to bring in great visuals. Image marketing and video marketing have taken off in recent years. Make sure you are using high-quality images to really get people engaged. Why Does it Work So Well? The reason why visuals are so important is because most people are viewing content on mobile devices. Images help to break up the writing and lend credibility to what you are saying. They clarify meaning and they avoid misunderstandings. Sometimes your success or failure relies entirely on bringing together great content in the first place. Finding out what people actually want to hear and discovering what’s shareable right now on social media will ultimately get more people engaged. This is less of a writing skill and more of a management skill. To do this right, you should have your finger on the pulse of social media at all times. It should be clear what people are talking about and, therefore, what you need to talk about. These ten rules of engagement will ensure that you get the right response from your target audience. Successful blogging takes time and effort, but when you get it right there’s nothing that’s more powerful. How will you engage readers today? FREE Migrations to KnownHost’s SSD Powered Hosting. What Your Amazing About Page Can Say about You! How Much Blogging Is the Right Amount of Blogging?